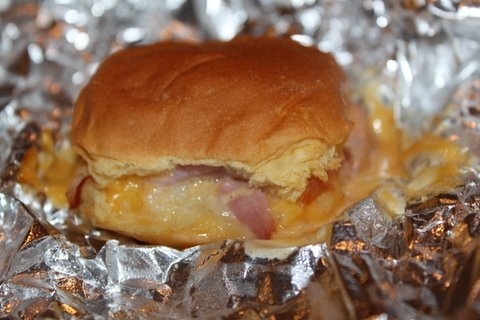 Before we get into the deliciousness of these ham and cheese sandwiches, we want to let all our Blended Kitcheners know that we haven’t gotten lazy with our lack of posts. Cindy is recovering from ankle surgery and will be laid up until spring. Lindsey is preparing to go to New York for the Super Bowl for work (and a little play), and then she will probably be laid up until spring too – HA! But never fear, we knew this hiccup was coming and have been cooking throughout the fall and into winter to keep the new recipes coming – and boy are they GOOD! In the meantime, to celebrate Lindsey’s partying at “working” the Super Bowl, we decided to re-post a past Super Bowl blog favorite AND family favorite that dates back 30 years! 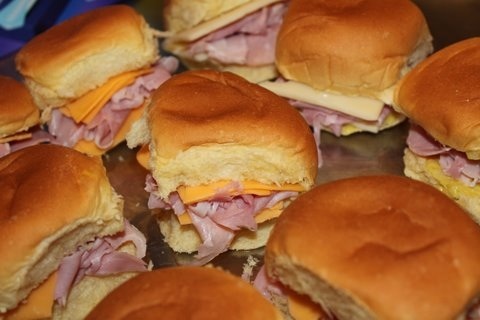 When asked for our favorite Super Bowl recipes, Cindy immediately thinks of these oven-baked ham sandwiches. 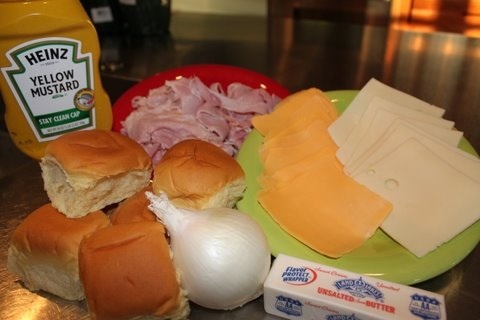 They bring back warm memories of her childhood and are the perfect sandwich for Super Bowl Sunday. 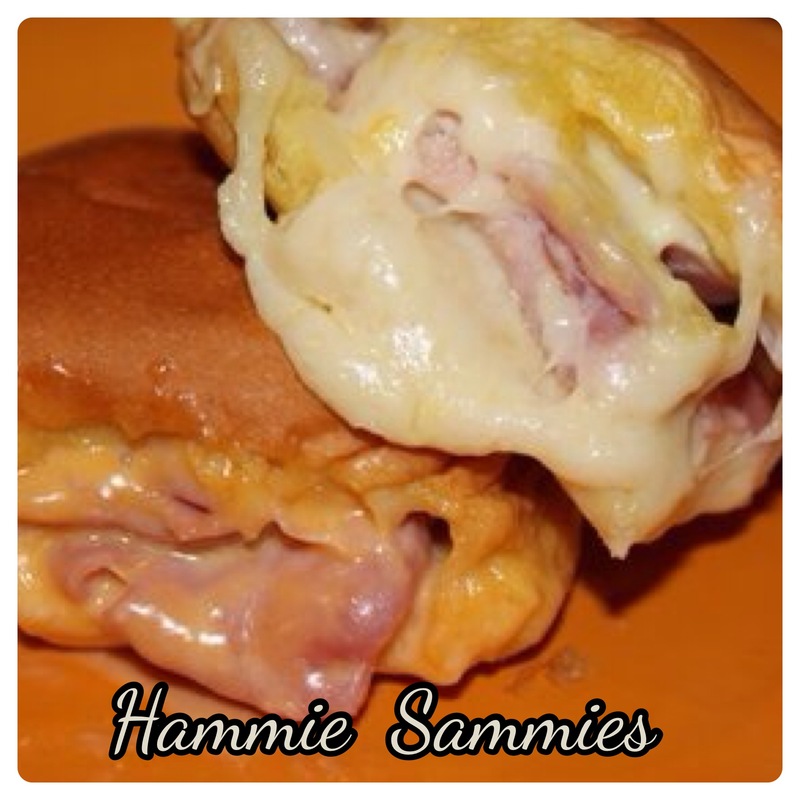 The gooey, melty cheese, the butter and the warm yellow rolls take these ham sandwiches from childhood treat to football fanatic food. Bake a ton of these sandwiches, they’ll fly off the platter! Our recipe makes about 15 sammies, but you can increase or decrease it to accommodate your needs. Simple ingredients combine to make these sandwiches the MVP of Superbowl Sunday. Make sure to buy high quality ham from the deli, not just the processed stuff you find in lunchables. Sauté onions in butter. Once onions are tender, add mustard to the mix. 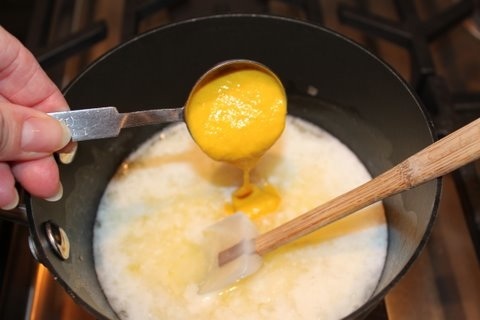 Stir in the mustard to create a tangy, buttery sauce. Spread the sauce onto sandwich rolls. 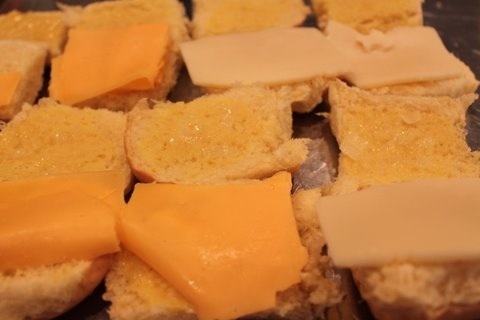 Place a slice of cheese on each bun. We used two different cheeses: American and Swiss. Pile on the ham and assemble the sandwiches. Wrap each sandwich in separate pieces of foil. If you want to tell which sandwich has which type of cheese on it, it can help to wrap one type with the shiny side of the foil out and the other with the matte side of the foil out. Bake the sammies for 20 minutes at 350°, until cheese gets gooey and melty, then dig in! 1 1/2 pounds good quality ham sliced thin for sandwiches. You can buy this from the deli of your grocery store. Don’t go with maple, mesquite or flavored hams, just stick to the classic ham for the best results. Melt butter and add onions until softened. Then add mustard and stir together. 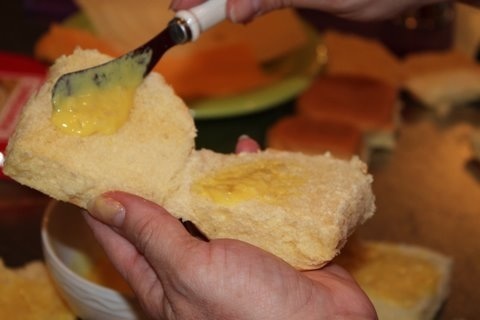 When mixed together and warm, spread mustard, onion and butter mixture on the bread. 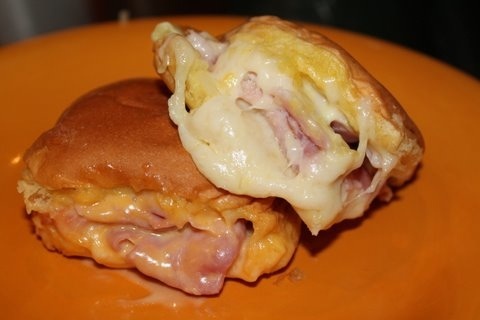 Top buns with ham and cheese. Wrap in foil and bake for 20 minutes in a 350 degree oven°. Last weekend, we watched (okay, we pretended to watch) the Broncos and the Seahawks win a spot to compete in the Super Bowl. While everyone else was cheering for their favorite teams, we were already brainstorming what we’ll be cooking up next Sunday! To us, Super Bowl food must include something with a little kick. 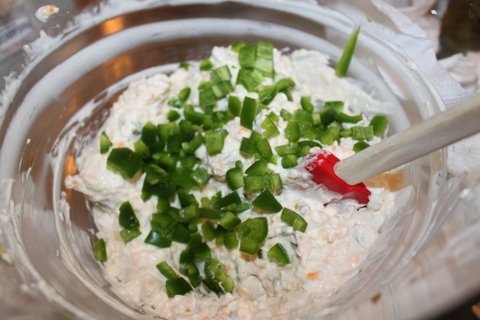 This jalapeño popper dip is just the dip to spice up our Super Bowl Sunday menu! Our advice: fill your cup (with milk!) before you start eating this – you’ll need a drink to cool your mouth down. Don’t let the creaminess fool you – it’s spicy! – but you’ll find yourself going back for seconds. And thirds. And okay, maybe tenths. This dish is super easy to put together and can be made ahead of time to make entertaining easier. Serve it with buttery Ritz crackers or crunchy tortilla chips – you won’t be able to stop munching! 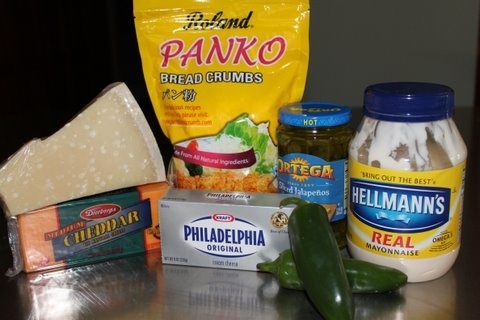 The yumminess starts here: parmesan, cheddar and cream cheeses, panko bread crumbs, pickled jalapeños, fresh jalapeños and mayo. Yum. 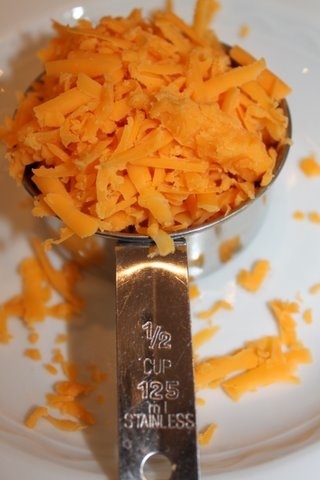 Measure half a cup of shredded cheddar cheese. 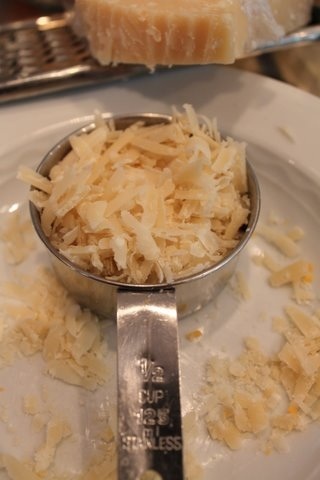 And another half cup of parmesan cheese. Yes, cheese on cheese on cheese. 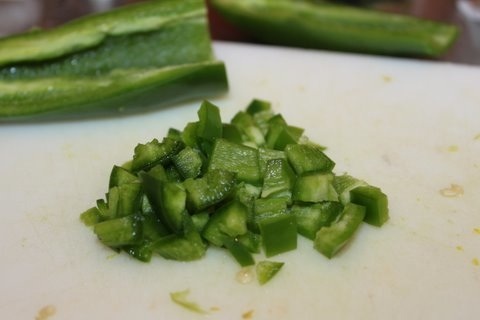 Clean the seeds out of a fresh jalapeño and dice it. 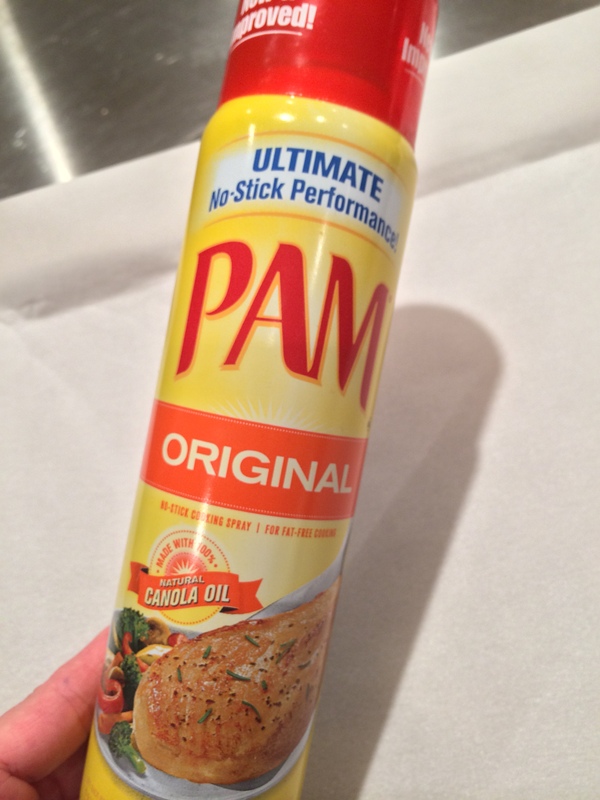 Be sure to wear gloves when you do this – you won’t want that spicy residue on your fingers for later! 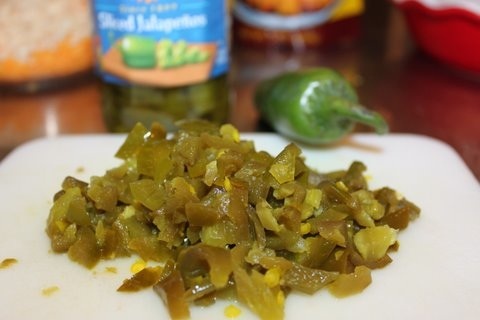 Measure out 3 oz of pickled jalapeños and 1 oz of the pickled jalapeño liquid. Mix all ingredients together in one large bowl. And then spread the dip into a cute little baking dish. 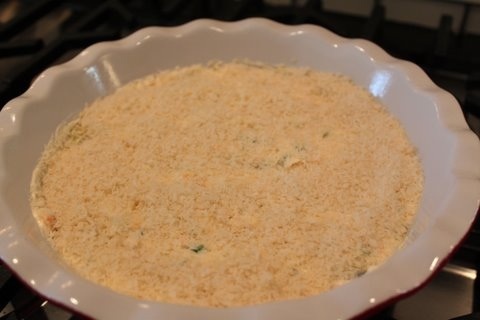 Mix together panko breadcrumbs and parmesan cheese to create a delicious crispy crust for the dip. 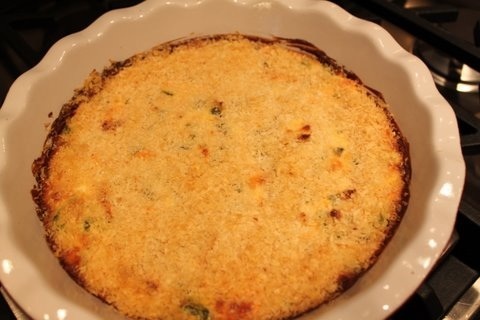 Top the dip with the breadcrumb and parmesan mixture before sticking it into the oven. Bake the jalapeño popper dip until it’s a nice golden brown on top. 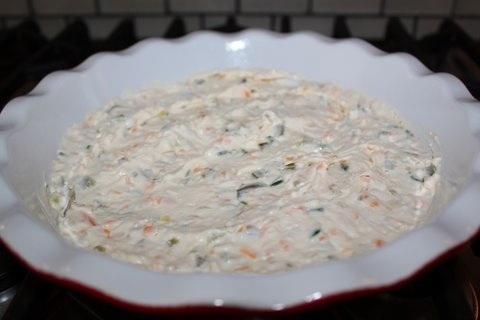 Serve the dip with Ritz crackers or tortilla chips immediately. Your mouth will – in the words of one of Cindy’s favorite pop stars – burn so good. 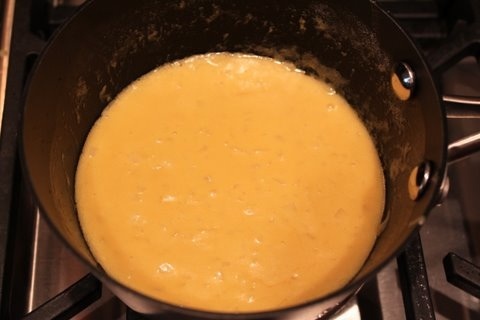 Mix the cream cheese, mayonnaise, cheddar cheese, parmigiano reggiano and jalapeños in a bowl. Pour mixture into baking dish. 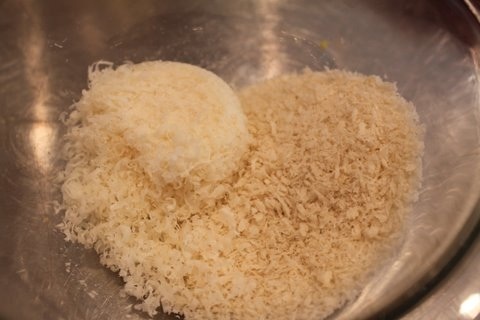 Mix the panko bread crumbs and parmigiano reggiano. Sprinkle over the top of the dip. Bake in the oven at 375° oven until bubbling on the sides and golden brown on top. This will take about 10 to 20 minutes. 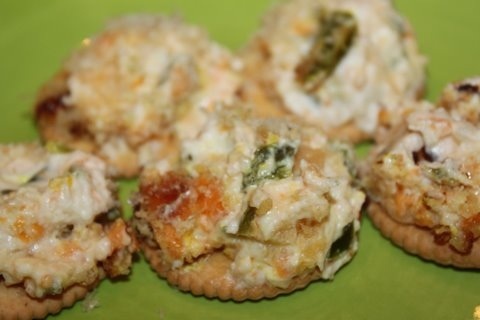 Serve immediately with Ritz crackers or tortilla chips. The nugget loves to take road trips, and it was on one of those road trips to the Missouri State Fair that he discovered the ever popular fair food – churros! 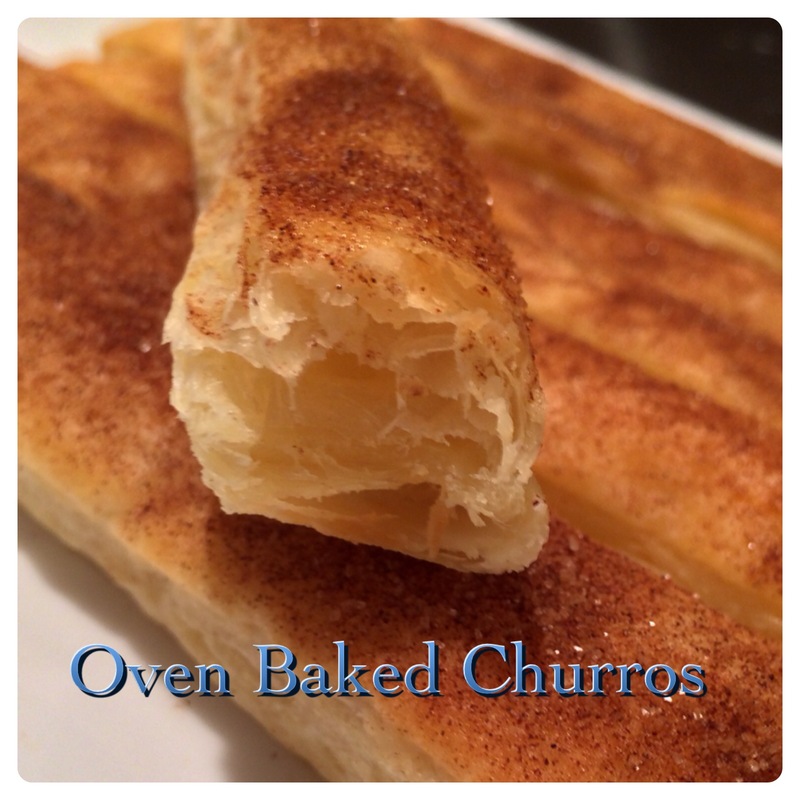 When we saw this recipe for oven baked churros, we knew we had to try it. But did it satisfy the craving for the delicious deep fried summer time version? You Bet! 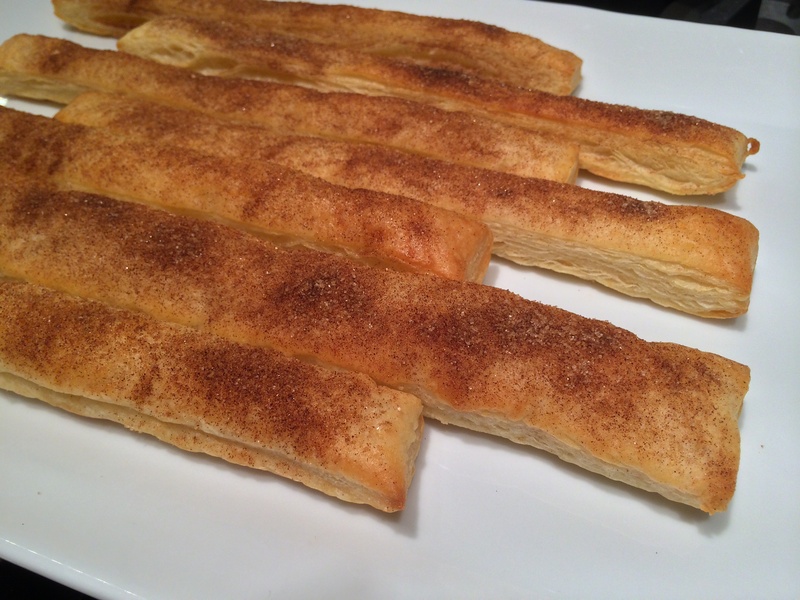 These oven baked churros are an easy to prepare treat that your kids are sure to love. Line a cookie sheet with parchment paper and spray lightly with non stick cooking spray. Unless you have a big crowd, one sheet should be enough for a few people. Place in the oven and keep an eye on them as they will rise quickly. This was after 7 minutes and ours were finished in 12 minutes. 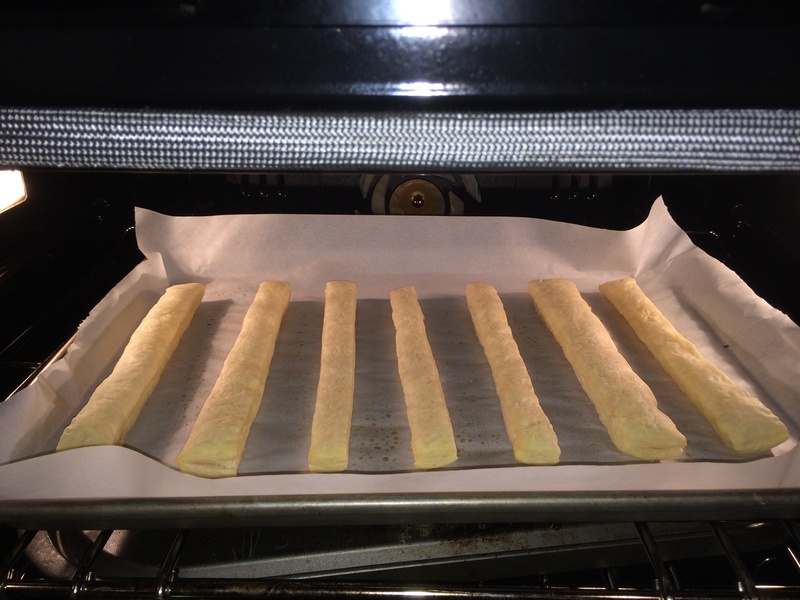 Remove from the oven and brush the churros with melted butter. Immediately sprinkle with a cinnamon and sugar mixture. Allow the churros to dry/cool for 5 minutes. Enjoy! Look at that fluffy, sugary, cinnamony goodness! 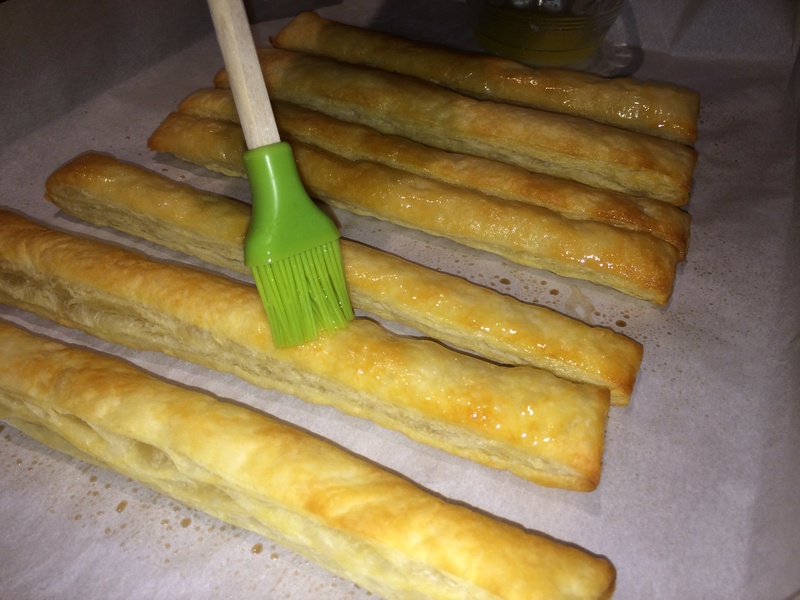 Thaw and unroll the pastry. Cut into strips and place on parchment paper that has been coated with non stick cooking spray. Bake at 400 degrees for 8- 12 minutes. 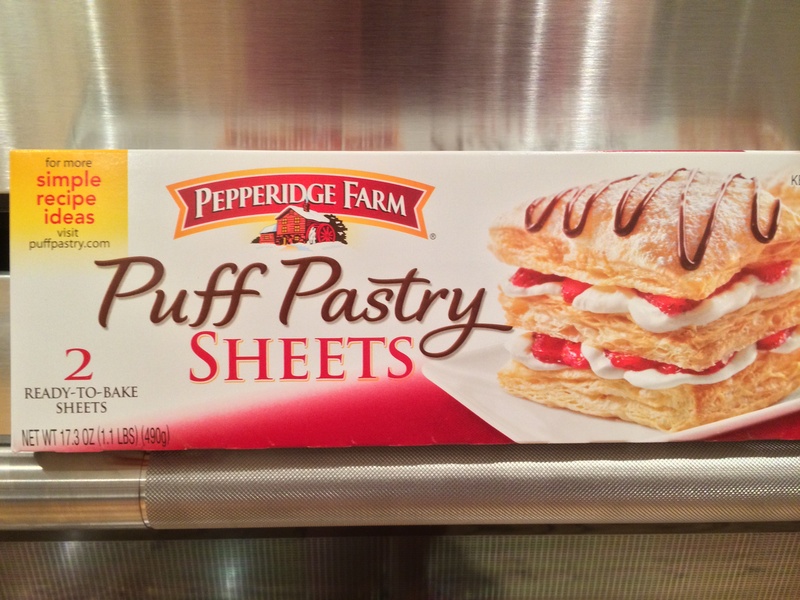 Ovens will vary, keep an eye on the pastry. 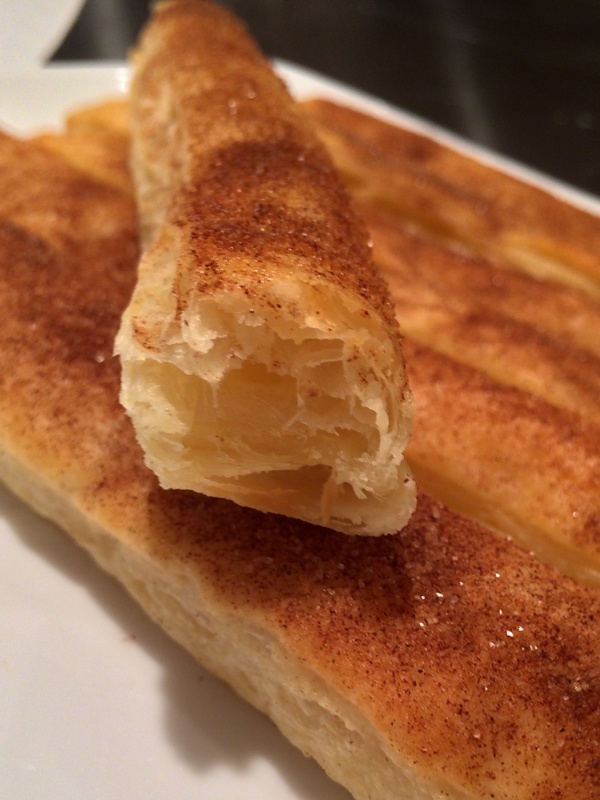 When the churros are golden, remove from the oven and brush with melted butter. Sprinkle with the cinnamon sugar mixture. Dry/cool for 5 minutes. Enjoy!